On February 26, 2015, Myriah Pointer of Atlanta, GA, sat down one evening with friends to hang out. What she didn’t know was that a friend’s hamburger was underneath her. That woman became enraged at Strickland, and what ensued was a 2-hour videotaped beatdown of Strickland by her 3 “friends”, resulting in facial fractures and broken teeth. 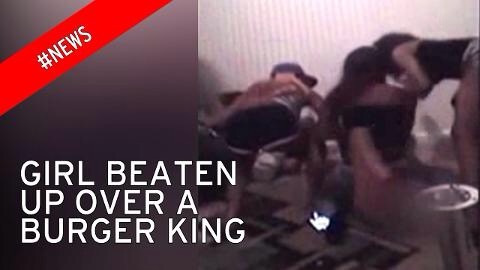 All 3 women were arrested and all because of a flattened Burger King Whopper Junior. It’s easy for anyone to lose sight of what really matters. Whether at the job, at home, in hobbies, or even in church, spirit-filled believers can so focus on the immediate and temporary that we forget the needful and eternal things. A flap over a hamburger is just as silly as a church split over carpet color or a divorce over bathroom counter clutter! Let what is important to God be important to you: seeing souls saved, being filled with the Holy Spirit, hungering for His presence, and aiming for Eternity. The temptation to focus on trivial or downright stupid stuff will always be around. Let God help you to instead focus on what really matters! You are loved today! 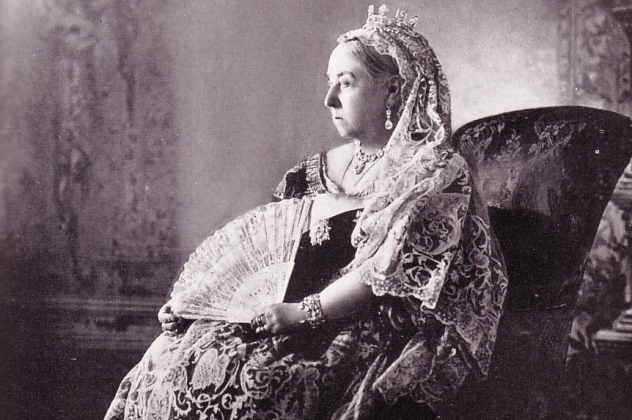 While Queen Victoria’s status as the first known carrier of hemophilia is well documented, few realize just how devastating the spread of her genes were on the next three generations that followed her. A son, three grandsons, and four great-grandsons were all sufferers, most of whom bled to death. Since her children eventually married into other politically important wealthy bloodlines, Queen Victoria’s genes weakened the royal houses of England, Russia, Spain, and Prussia. According to our text, the spiritual body of the Church is healthy when everyone is doing there part. So what happens if we don’t? Then not only is the Church and its people in danger of becoming unhealthy, but future generations of the Church also stand the chance of inheriting this destructive state since both activity and inactivity are learned behaviors. As Christians, we are made to know God and to make Him known. By doing the Christ Life right, we can prevent a spiritual equivalent of Victoria’s hereditary torment. Live right so that the future Church lives! You are loved! Pastor Mike’s Minute Message: You’re Doing It Wrong. My Mom was my 1st grade teacher. In our class that year was a poor kid named “Jimmy”. Jimmy’s Dad did not want his son to grow up to be a smoker. So, at the ripe old age of 6, he taught Jimmy how to dip snuff. As you can imagine, the nicotine wreaked havoc on his little system, causing him to have the scours and be sick everyday. It was a sad case of parenting gone wrong. In this text, Saul is doing it wrong. He grew up around God, was trained to serve God, but was committing harm and atrocities in God’s name, never realizing that the God he was serving was the very God he was attacking! You can imagine the sense of ironic failure Saul felt, having to be introduced to “his boss”, whom he should have known all along. As you live the Christ Life daily, do it right. What we do and how we live should reflect the God we serve, not the opinions or emotions we harbor. We should be the best advertising Heaven has! Live like you know the God you serve! You are loved today! 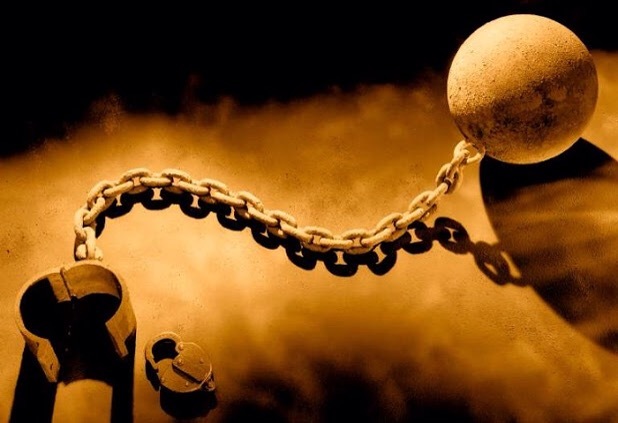 Could you willingly become a slave? In ancient times, this was a common way for impoverished people to provide subsistence for themselves or their family and provision was made for this in law. For example, the code of Hammurabi stated that “besides being able to borrow on personal security, an individual might sell himself or a family member into slavery.” In medieval Russia, self-sale was the main source of slaves. In the biblical aspect, James is not talking about an auction block but a willingness to let God control his life instead of his own whims. To be a “slave of God” sounds crazy, until you understand that God is a more merciful and loving Master of our lives than we are to ourselves. And sin? Sin is the ultimate taskmaster of torture and abuse, ruining everything it touches! In this life, we all will serve somebody: God, Satan, Self, Others… And if it’s not God, all the others wind up in the same pile. 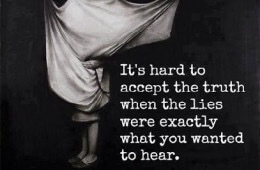 Learn to give up control to the One that doesn’t desire to hurt, abuse, or manipulate you. He’s the only Master that desires more for you, to make you His child! You really are loved! God gave my friend an open Heaven of provision, meeting her need at every step. For those that helped her, God gave them an open avenue to help a stranger, fulfilling a scriptural command to help those in need, which also leads to blessings. So, for everyone involved in this adventure, there was an “open highway” that led each to a place of blessing and affirmation. The main point of this devotion is to realize that we who journey the Christ Life highway must be ready to do what Christians do, and that is to help others. By living faithfully, we are also in a prime place to be helped when we need it. So live your “open highway” this week! God is faithful and you are loved by Him!